​Kanchanaburi is a small town 78 miles (126 km) west of Bangkok. It is best known for its proximity to the Bridge over the River Kwai and the infamous Thailand–Burma Railway, known as the death railway. During the World War II Japanese occupation of Thailand, a 258 mile (415 km) section of railway was constructed to connect existing lines in Thailand and Burma. This allowed the Japanese to move troops and material from Singapore, up through the Malay Peninsula, into Thailand and on to Burma for an eventual attack on India. Approximately 60,000 Allied POWs and 250,000 Asian Laborers were involved in the project which started June 1942 and was completed in October 1943. It has been estimated that 16,000 American, Australian, British and Dutch POWs and 90,000 Asian Laborers died during construction. Conditions on the work sites were brutal, thousands of men died from malnutrition, disease and exhaustion. Many more were executed or beaten to death by their Japanese and Korean guards. Ironically, after surviving Allied bombing, the British later removed the Thai section of the railway between Nam Tok and Burma. 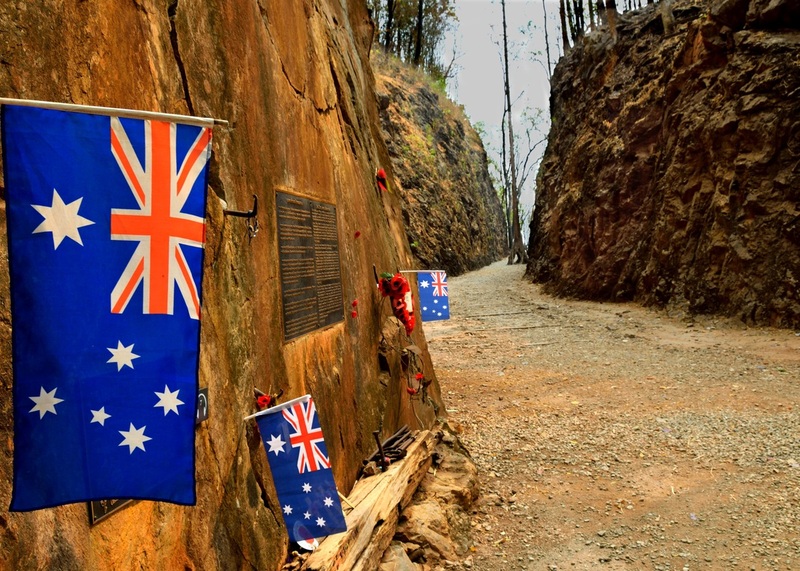 A fantastic way to learn about the railway's history and the unfortunate souls who died building it is a visit to the Thailand – Burma Railway Centre. 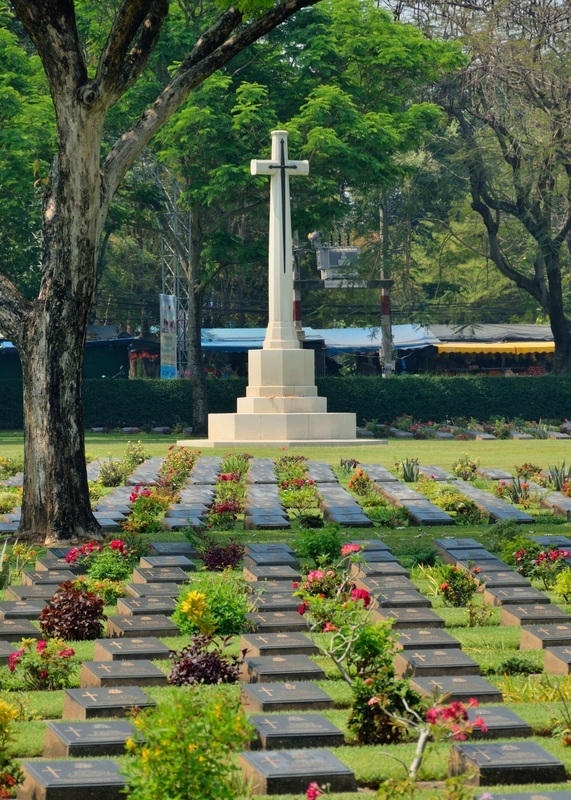 Located across the road from Kanchanaburi Railway station, this impressive museum overlooks the Kanchanaburi War Cemetery known by the locals as Don Rak. 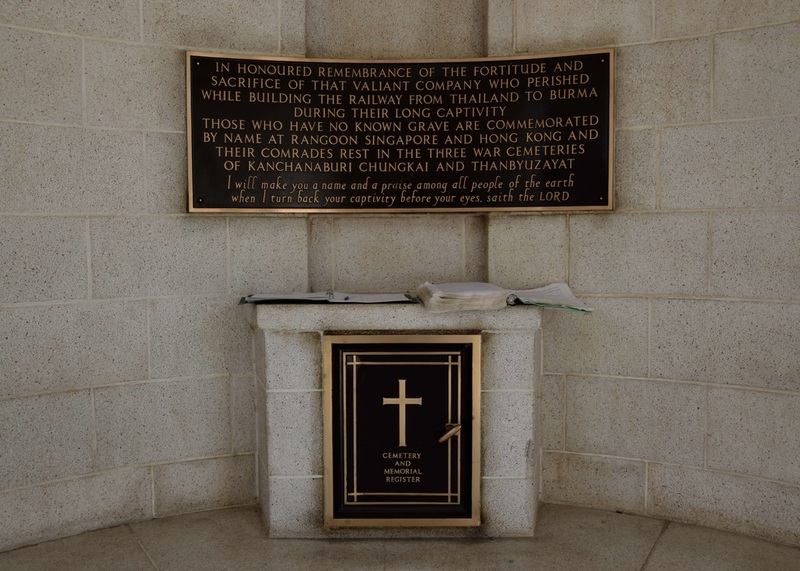 The cemetery is the final resting place for 6,982 POWs who perished building the railroad. Chungkai is a second cemetery located across the river, which contains the graves of over 1,700 men. It’s an incredibly moving experience to visit these sites. Many Bangkok travel agencies offer one day bus tours to Kanchanaburi to visit the bridge and a few other sites along the way. However, one day is really not enough time to see the many sites in the area. With easy access from Bangkok and many budget accommodations to choose from, Kanchanaburi is a great place to stay for a few days or even a week. Transit time by road takes approximately two hours with buses departing from both the northern (Mo chit) and southern bus (Sai Tai Mai) terminal at a cost 110 THB or about $3 USD. Tourist mini vans can be found on Khoa San Road for around the same price. Another transportation option from Bangkok is to take the train from Thornburi railway station located on the west side of the Chao Phraya River. Trains depart the station twice daily, at 07:50 AM and 13:55 PM. The two and a half hour trip costs 100 THB, less than $3 USD. There are no reserved seats, the train is considered to be third class with tickets only sold at the time of departure. It should be noted that the train is often delayed, expect to arrive later than the scheduled time. The trains biggest down side is that it is not air conditioned and during the dry season it is an extremely hot and dusty ride. After arriving in Kanchanaburi the train continues on in a northerly direction towards the end of the line at Nam Tok. The station immediately after Kanchanaburi is named River Kwai Bridge and caters mostly to tourists. Many people will board the north bound train here to ride across the famous bridge which is just on the other side of the station. The main guest house area is about a fifteen minute walk from this very touristy area. The scenic train ride up to Nam Tok takes just over two hours and is a must, particularly for travelers that arrive in the area by car or bus. There are several points of interest along this section of the line including Wat Tham Khao Pun, Krasae Caves and the Wang Pho viaduct. One mile (1.6 km) north of from Nam Tok station is Sai Yok park and Sai Noi Waterfall which is a very popular tourist destination. By far the most impressive site in this area is the Hellfire Pass Memorial Museum. Originally named the Konyu Cutting, Hellfire Pass was an extremely difficult section of the railway to build as it required clearing dense forest and earth before making “cuttings” through solid rock. These cuttings were made using hand tools and dynamite, the blasted rock and debris removed from work site manually. In an effort to complete the railway as quickly as possible, the Japanese began working crews 24 hours per day. Working through night by torch light in horrific conditions, it was said that the scene was reminiscent of Dante’s Inferno. Hellfire Pass is the name given to this cutting by the POWs during this “Speedo” period when a particularly high number of POWs and impressed Asian workers perished. Located 13 miles (20 km) up Route 323 from Nam Tok station, the transit time to Hellfire Pass is 20 minutes. There are several options to get there from Kanchanaburi including hiring a taxi, joining an organized group tour, or utilizing various combinations of trains, buses and taxis. If you have not previously made the train trip up to the north, catch the early train, number 485, departing at 06:07 AM. The trains often run late, taking the 10:35 AM train is not recommended. Foreigners pay 100 baht to board the train no matter which station is the final destination. Upon arriving at Nam Tok station taxis (Songthaew) will be on hand and provide transportation the rest of the way for 500 baht one way, 800 baht return. A cheaper option is to take a Moto taxi which can be found by walking up the road from the station. The red colored Thai government bus number 8203 runs from Kanchanaburi bus station to Sangkhlaburi, passing in front of Sai Yok Park and continuing up route 323. This bus will stop directly in front of the entrance to Hellfire Pass. These buses depart Kanchanaburi every hour starting at 07:30. The hour and a half trip costs 50 baht, just over $1 USD. Boarding the bus at the station is recommended rather than trying to flag it down on the road. On the return trip, the last bus passes by Hellfire Pass around 04:20 PM and 04:40 PM at Sai Yok.